Kim White is a commercial and editorial photographer living in the San Francisco bay area. I have been spending a significant amount of time this summer in a hospital visiting a family member who has been a patient. The hospital has both a cafeteria and a café, which, with its surprisingly broad array of single-branded coffee and tea beverages, could rival many freestanding coffeehouses. The café offers customers ample coffee (and tea, mostly of the iced variety though) choices—coffee ranging from medium roasts to special dark roasts, to cappuccinos, to mochas, to iced mochas and iced hazelnut lattes, and so forth. As of this summer, the café is now offering the well-known and well-respected brand’s cold brew coffee. While cold brew is a great addition to the deep coffee selection, the problem—for both the brand and the customers—is that the café’s employees do not know the difference between “iced coffee” and “cold brew” coffee. They believe cold brew and iced coffee are one in the same, and did not know if cold brew had replaced iced coffee in all the iced coffee drinks. I doubt these foodservice employees are alone in their misunderstanding of the difference between cold brew and iced coffee. While cold brew has quickly become a favorite among coffee aficionados, it is still new and unknown to many average coffee drinkers (and forget non-coffee drinkers). The café’s employees are not baristas, they are not hand-crafting artisanal coffee beverages—they are pouring cups of regular coffee and tea, as well as soda, and preparing a limited selection of specialty coffee drinks, while also making breakfast and lunch items for rushed and frazzled hospital employees, patients and visitors—as fast as they can. Have they been properly trained to understand the difference between iced coffee and cold brew and explain the nuances of cold brew that make it a premium coffee? It doesn’t seem so and this could affect the café’s revenue. 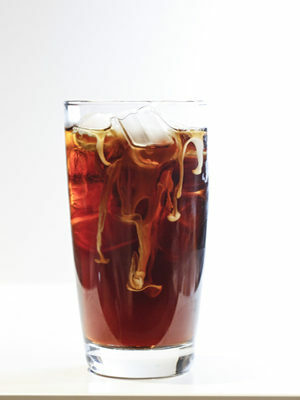 In an NCA webinar in July, entitled, “Cold Brew Coffee—Why is It Hot?,” the presenter, John Bruckner, senior vice president, national accounts for S&D Coffee & Tea, noted that cold brew coffee is so popular in the United States that it can likely offset declines in drip coffee. Sales of its new cold brew coffee have also apparently helped Dunkin’ Donuts offset lower customer traffic. Starbuck sells both iced and cold brew coffee, while Peet’s Coffee replaced all iced coffee with cold brew in its cafés in 2015. 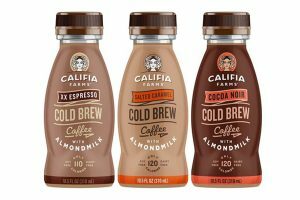 Bruckner asked, during the webinar, “Is cold brew going mainstream?” Which implies—accurately—that despite its immense popularity and rapidly growing availability, cold brew coffee is not yet a mainstream item. In fact, it is just beginning to enter many foodservice establishments (nearly 25,000 independent and chain restaurants in the US now have cold brew on their menus). The NCA webinar revealed that 68% of respondents knew the difference between cold brew and iced coffee, while 54% percent found cold brew more appealing. Furthermore, cold brew coffee is particularly popular with millennials—54% males and 46% females. The NCA webinar, as well as a 2016 SCA Symposium session, compared cold brew coffee to craft beer. Craft beer has a method, distinctive taste and a design aesthetic. So too does cold brew, according to both sessions. “Cold brew is the craft beer of the coffee industry,” said Bruckner. Cold brew is being developed and promoted as a premium coffee beverage, thus, it costs more than iced coffee. 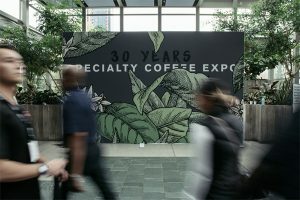 But with this premium status, higher price point and growing availability in non-traditional coffee establishments, comes the need to explain what distinguishes cold brew from iced coffee and why it costs more. Are foodservice employees being taught that cold brew coffee is never heated, rather, the coffee grounds are steeped in cold water for an extended period of time, and the resulting brew is more balanced, distinctively smoother, and subtly sweeter than iced coffee? Do they understand that it is this cold brewing process, which is more time consuming and laborious, is what creates the premium product—and price? To preserve cold brew’s premium positioning and premium profits within foodservice establishments, employees must be properly educated on the difference between cold brew and iced coffee. 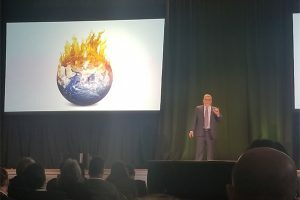 If not, the result could be unhappy customers and lower coffee sales—one “bad coffee” experience and customers may go elsewhere for their daily coffee fix.